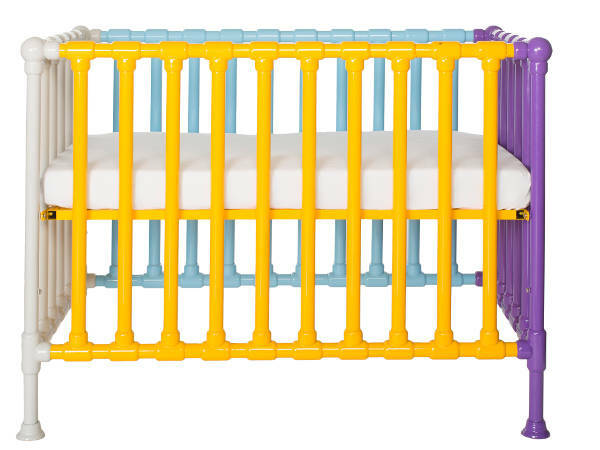 This colourful collaboration is like a match made in nursery heaven. One of Australia’s most coveted nursery and children’s furniture brands has joined forces with one of the brightest stars in the linen galaxy. The result is an explosion of bold, brilliant and beautiful furniture for kids. Don’t adjust your screens, folks – we’re bringing you this post in beautiful, bright colour, thanks to the most anticipated collaboration in the children’s arena this year. Incy Interiors has paved the way for fun children’s furniture. 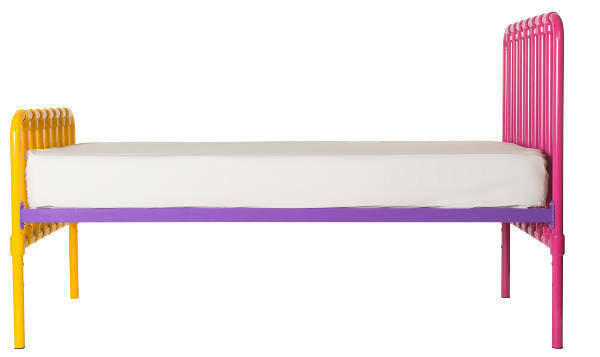 Each new release has punched through the ceiling of normality and the expected, and given us a whole new concept in nurseries and children’s bedrooms. Likewise, Kip & Co has continued to push the boundaries in creating linen with style, sophistication and generous lashings of bold, bright colour. And now that these two brands have joined together, what they’ve conjured is truly amazing. What a tour de force! 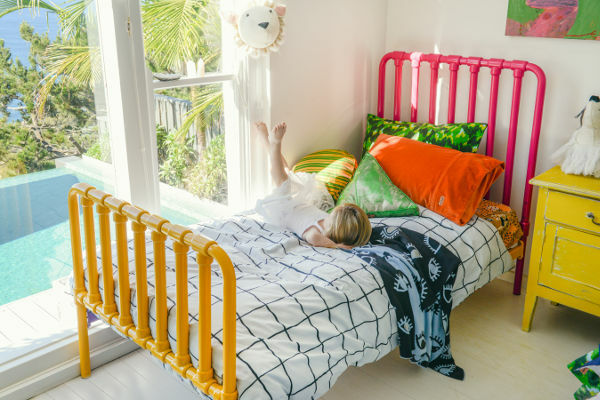 “I’ve always loved the colourful combinations and unique designs the Kip & Co girls come up with and it’s really exciting to have their input into this exclusive range. Kip & Co co-founder Kate Heppell said the collaboration proves that the fun shouldn’t just stop at the bedding, and the furniture collection blends the two brands beautifully. 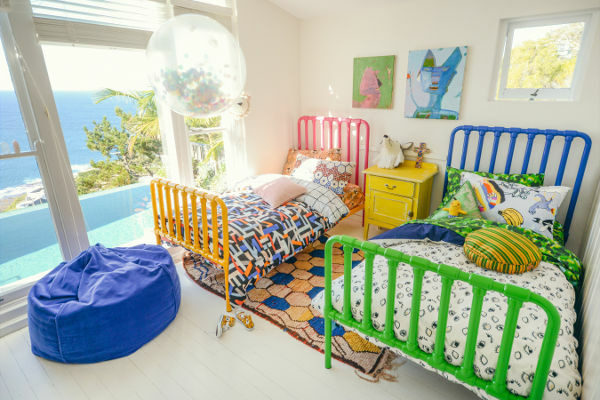 What we love is that the beds really instil a sense of everything childhood should be: bright, colourful, fun – and not too serious. 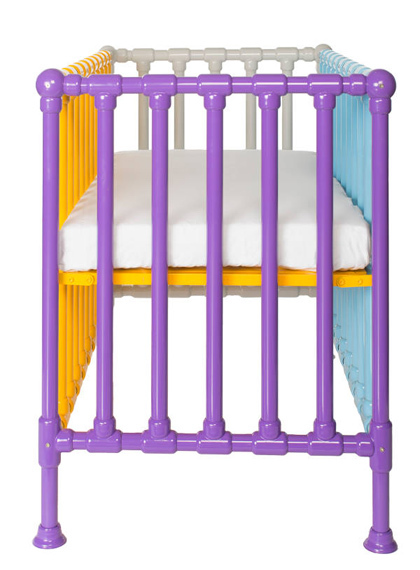 The new range includes unisex children’s beds and cot, featuring multicoloured panels. 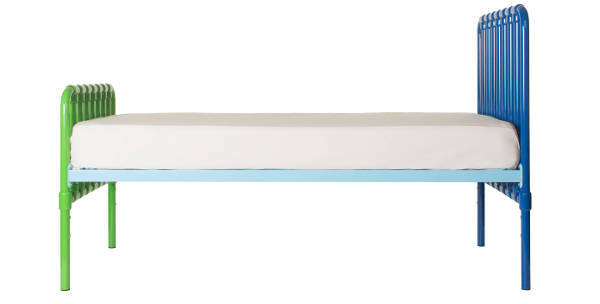 The cot retails for $999 and the single bed for $699. The limited edition collaboration pieces will be available from Incy Interiors stores, online at Incy Interiors and at regular stockists.